In a landmark Judgment a Two Judge Bench of the Supreme Court comprising of Justice J.Chelameswar and Justice A.K.Sikri held that right to judicial remedies for the redressal of either personal or public grievances is a constitutional right of the subjects (both citizens and non-citizens) of this country and employees of the State cannot become members of a different and inferior class to whom such right is not available. 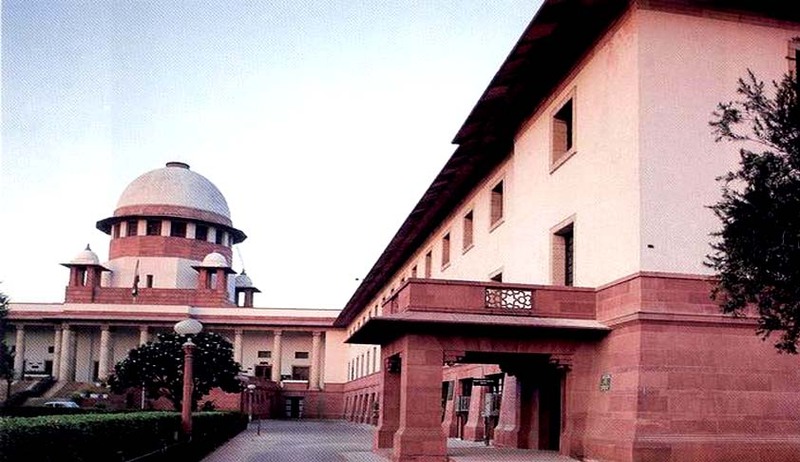 The Supreme Court was considering an appeal filed by an IAS officer Mr.Vijay Shankar Pandey against Disciplinary Proceedings taken against him by the Government for filing a PIL which ultimately resulted in the formation of SIT in the Black money Case [Ram Jethmalani & Others v. Union of India & Others, (2011) 8 SCC 1]. “A Writ Petition (C) No.37 of 2010 titled “Julio F. Ribero and others vs. Govt. of India including Mr.Pandey, came to be filed under the name and style of India Rejuvination Initiative, a non-Government Organisation (NGO). The said Writ Petition along with another culminated in a judgment of Supreme Court in Ram Jethmalani & Others v. Union of India & Others, (2011) 8 SCC 1. All the charges against Mr.Pndey are in connection with the filing of the said Writ Petition on the ground that the conduct is violative of the various CONDUCT Rules. Charge No.1 is on account of certain statements made in the said Writ Petition against certain senior officers of the Government of India. The second charge is that he failed to comply with the requirement of Rule 13 of the CONDUCT Rules where-under he is obliged to give information to the respondent within one month of becoming a member of the such organization (NGO). The third and the fourth charges are based on the allegation made in the Writ Petition (Civil) No.37 of 2010. The substance of the charges was that those allegations tantamount to criticism of the action of the Central as well as State Governments and of giving evidence without the previous sanction of the government and, therefore, contravention of Rules 7 and 8 respectively of the CONDUCT Rules. Charge No.5 was that he violated Rule 17 of the CONDUCT Rules”. Allowing the Appeal Justice Chelameswar held that “We are at a loss to comprehend how the filing of the writ petition containing allegations that the Government of India is lax in discharging its constitutional obligations of establishing the rule of law can be said to amount to either failure to maintain absolute integrity and devotion to duty or of indulging in conduct unbecoming of a member of the service”. Even otherwise, the IMPUGNED order, in our opinion is wholly untenable. The purpose behind the proceedings appears calculated to harass the appellant since he dared to point out certain aspects of mal-administration in the Government of India. The action of the respondents is consistent with their conduct clearly recorded in (2011) 8 SCC 1. The whole attempt appears to be to suppress any probe into the question of blackmoney by whatever means fair or foul. The present impugned proceedings are nothing but a part of the strategy to intimidate not onlythe appellant but also to send a signal to others who might dare in future to expose any mal-administration. The fact remains, that this Court eventually agreed with the substance of the complaint pleaded in Writ Petition No.37 of 2010 and connected matters; and directed an independent inquiry into the issue of black money”. “The Constitution declares that India is a sovereign democratic Republic. The requirement of such democratic republic is that every action of the State is to be informed with reason. State is not a hierarchy of regressively genuflecting coterie of bureaucracy”. The Bench also ordered to pay Rs.5 Lakhs as costs to Mr.Pandey and observed that it is open to the Government to identify those who are responsible for the initiation of such unwholesome action against the appellant and recover the amounts, if the respondents can and have the political will.